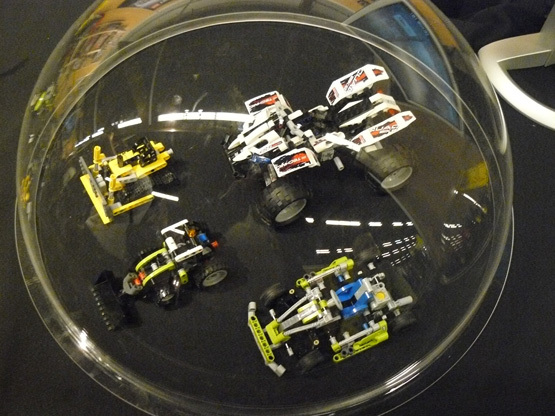 When in late August we saw the new TECHNIC sets for the 1H2009 for the first time, there were also some names from which we didn't get any references or images, but which most likely are new TECHNIC sets for the 2nd half. Among those, the was a 'Mini Dozer' (8259) which is also a reference for the 1st half. Images were missing at the time, because it won't be commercialized in the countries corresponding to the leaked retail catalog at the time. 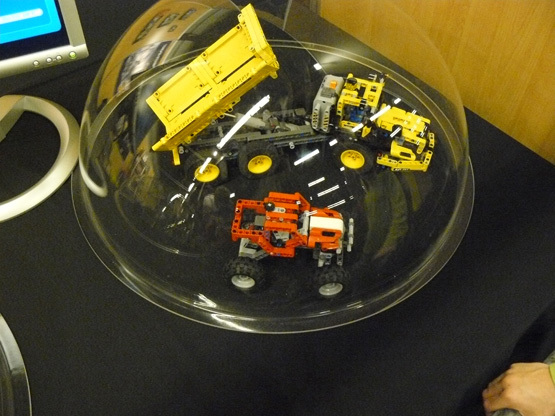 This Mini Dozer had finally officially debut at LEGOWORLD 2008, as you can see below from the photo on the left. Together we have here the first photos from all 1H2009 TECHNIC models, in real bricks. Thanks Ryan, for telling me in first hand, about these new photos on BS. There are here some surprises about new TECHNIC parts, but that's or the next days. Wow! Very cool! I think I might get them all. I really enjoy those little sets. Much easier to build apart and try something new.